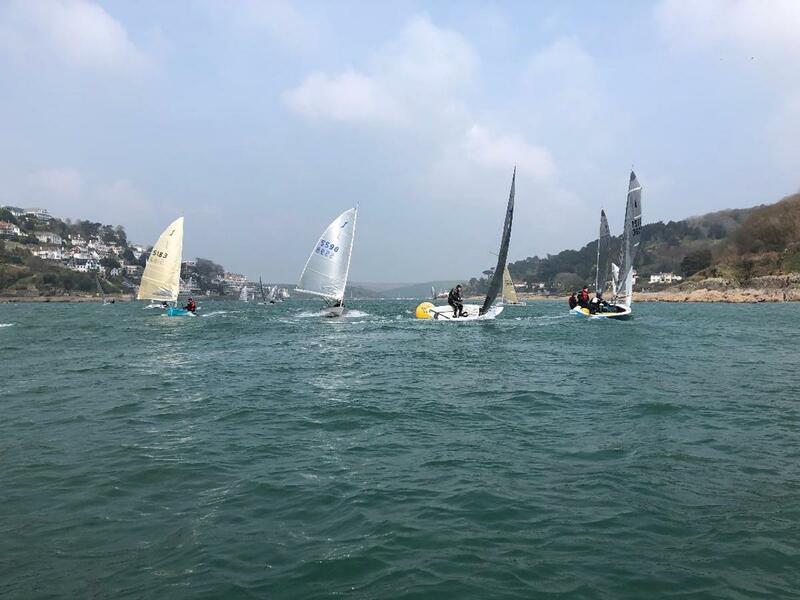 Race 4 of the Salcombe Yacht Club Spring Series got underway on Saturday 6th April, on a North Easter gusting into the 20’s. With fleets racing on a low tide, Race Officer Charlie Lloyd set the first leg of the course to Gerston, and whilst the trip through the Bag was proven to be fickle, this was rewarded by a leg stretching blast back and forth across Widegates. 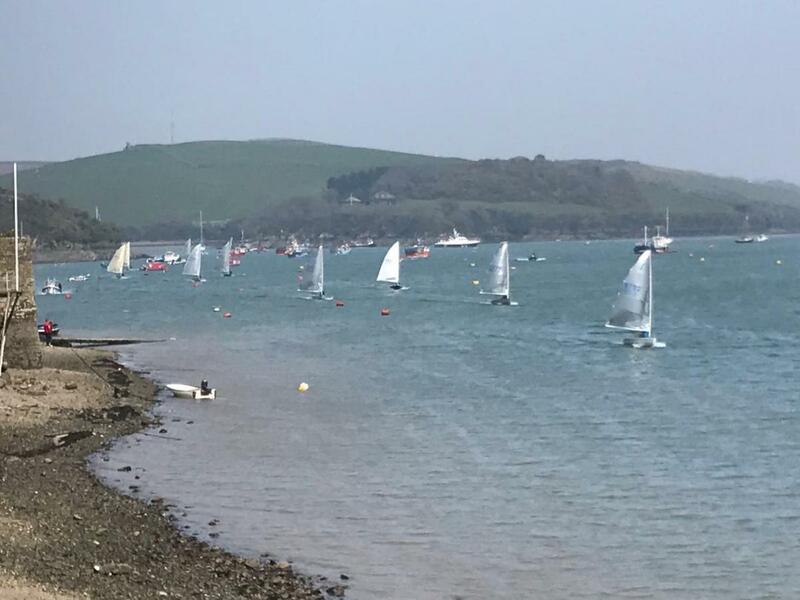 First away was the Solo Class, down to twelve boats, since a couple failed to negotiate the obstacle course of a fishing boat moored at the bottom of the slipway and the nearby mudflats. A competitive start saw Roger Guess, Bill Jago, Simon Yates and Robin Hodges fast out of the blocks; however at Snapes Point this quartet had to put in an extra tack, which allowed David Greening to emerge alongside and then work through Guess’ lee to find him leading by Tosnos Point, which he was never to give up. 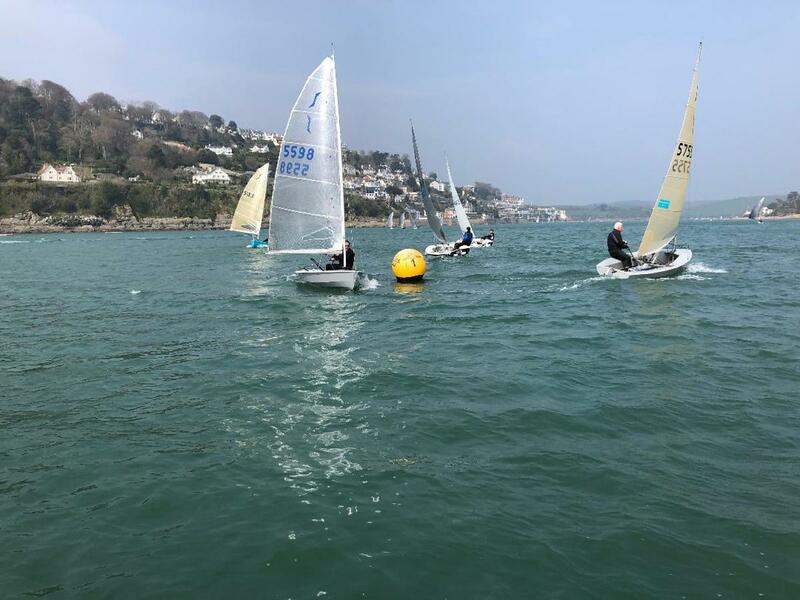 By this time Andy Savell had planed into the mix, but eventually there emerged a tussle between Guess and Yates, with Guess coming off best at the finish, by virtue of his solid upwind speed. Whilst most of the Handicap Fleet started on time, the Phantoms sportingly delayed their start to await the arrival off Alistair Morley, still challenged by the recent change to British Summer Time, however once away there was no stopping him from taking the win from Paul Ellis, no doubt aided by Dan Bridger’s death roll ducking on the way to Blackstone. 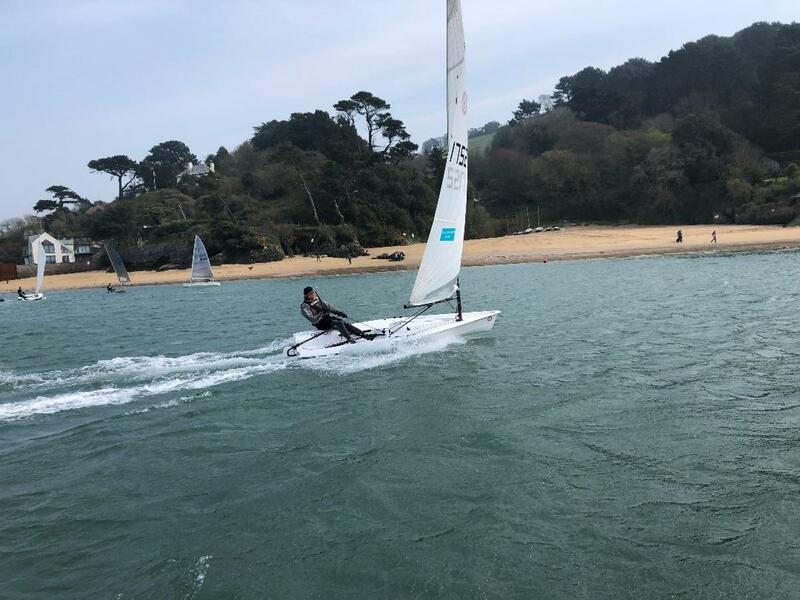 AJ and Tristram Squire narrowly missed second place, despite a flying run down the Salcombe shore on the last lap.